Welcome to Gigglebox Booths, for modern fun photo booth hire in Essex! This is where the fun really starts for any Event, Party or Wedding. My name is Gary Derbridge also of GDphotographer. I am National Award Winning Wedding Photographer in Essex and along with my brilliant team, we have fantastic fun running Gigglebox Booths based in Southend-on-Sea Essex! plunge, and at the start of 2014 Gigglebox booths was born in Essex and we have never looked back since! We are growing from strength to strength and are now attending fun events, weddings & parties in Essex, around the south of England and sometimes further beyond meeting awesome people along our travels. We offer high quality, modern photo booth hire in Essex and cover all sorts of events across London, Kent, Hertfordshire and all of the surrounding counties. Even though the packages have a mileage limit on them, do not fear… Extra mileage can be added at a very small cost, just get in touch and we can let you know how much it will be. We do not just cover Essex, we can travel Nationwide, and love attending events at new venues that we have not yet visited. So even if your location has not been mentioned, get in touch, we will be happy to help! So whether you have a Wedding, Party, Bar Mitzvah or Corporate Event, Gigglebox Booths will be happy to help and offer our fantastic fun service to you at a very affordable price! Photo booths are a great addition to any event, and are guaranteed to go down a storm at every party /wedding we attend! We bring along a box full of fantastic fun props, so you can even get dressed up for the photos and leave video messages with our HD video cameras! Always a laugh when you watch them the next morning! We look forward to hearing from you very soon, and cannot wait to join you at your event / wedding with our fun photo booth! Have you had your photo taken at an event by one of our photo booths? 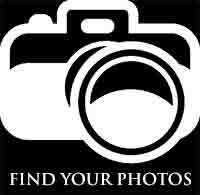 Click here to find your photos! Our photo booths are some of the best available on the market using high quality professional SLR cameras. The booths allow for larger groups to use, compared to the traditional sit down booths, which can only hold smaller groups of 3-4. They have touch screen monitors in the booths, which allows for guests to choose between taking stills or video. Our photo booths are fully insured, as some venues may want proof of insurance before you can enter their premises. 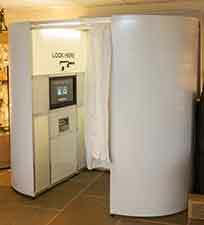 Our photo booths are also fully tested and covered for electrical testing. We do not limit visits to the booth during your event. We believe you and your guests should be able to use the photo booth as many times as physically possible, without us telling you that your number of uses is complete! I (Gary) have 10 years experience in the wedding industry having photographed over 400 weddings. I know a lot of venues & their staff very well, and have a great relationship with them all! Our photo booths can fit through small doors and exits, and upstairs. This means most venues are not a problem for us to visit! We have a fantastic 5 star rating on our Facebook page, with lots of happy clients.